Most people have experienced lower back pain at some point in their life. 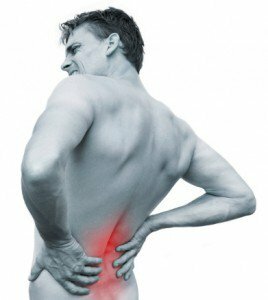 In fact, back-related pain is estimated to be the second most common reason	people report missing work or visiting the doctor’s office. And	here at LaserTech Pain and Back Relief Center, approximately 70% of all	our patients come see us for back-related pain, which means you can rest	assured we understand how severe of an impact back pain can have on your	lifestyle and overall well-being. While the causes of back pain are plentiful and diverse, the symptoms are	often expressed in very similar ways. Being that there are a variety of	different conditions which can lead to the onset of lower back pain –	including spinal stenosis, arthritis inflammation, injuries or trauma,	sciatica (pinched nerves), post-operative pain and many other reasons	– it is important to seek professional assistance in order to ensure	you are not leaving a serious condition untreated. Sciatica is an extremely common condition that causes pain to radiate along	one’s sciatic nerve. Sciatic nerve pain is typically the result	of a herniated disk in the spine, which causes it to put pressure on the	sciatic nerve and cause intense radiating pain down the back of one or	both legs, but most often only affecting one side of the body. Symptoms	of sciatica can range from mild to severe pain in the back, buttocks,	hips, lower extremities and spine to foot/leg numbness, muscle weakness,	burning sensations, pins and needles sensations or generalized weakness. 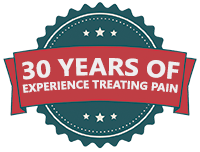 At LaserTech, we have learned that many of our patients have waited months	if not years before seeking pain-relieving treatments simply because they	did not feel comfortable undergoing invasive surgeries or injections or	taking highly addictive pain medications. Thanks to our array of pain-relieving	technologies and lower back pain treatment options, we can help you get	on the path towards total pain relief without having to use invasive means,	even when other treatments have failed you. We invite you to schedule a free comprehensive consultation with any of	our pain management professionals, during which we will take as much time	as necessary to accurately determine the type and root cause of your pain,	which will allow us to create a treatment plan designed to significantly	reduce, if not completely eliminate your pain, so you can get back to	doing the things you love most and reclaim your life, free of pain.